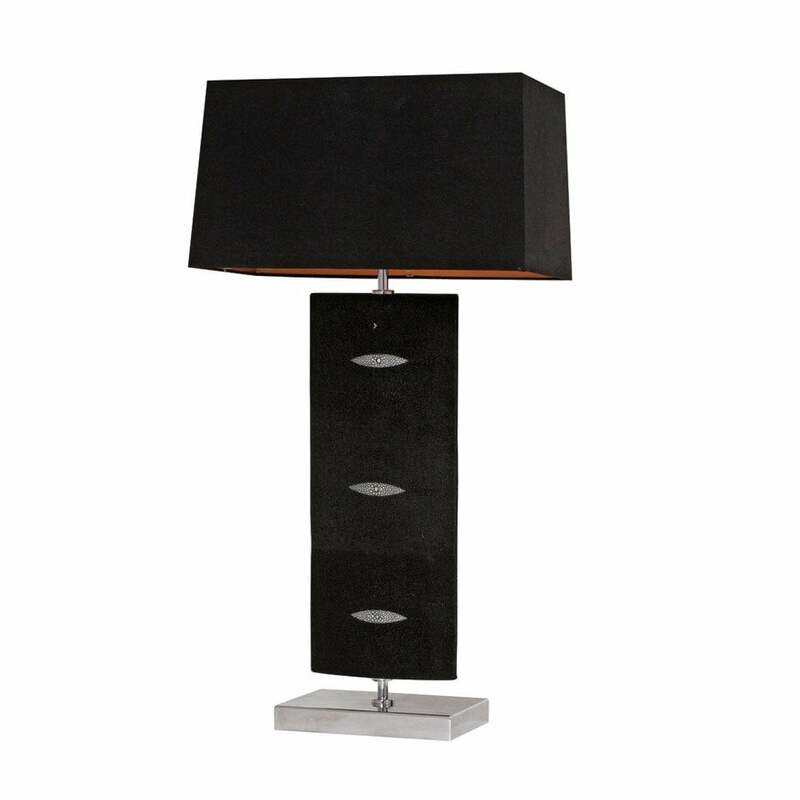 Modern style elliptical shape lamp covered in genuine black shagreen with diamond detailing. Polished chrome base. As with all Simpsons' pieces, this lamp has been handmade in England.